Bringing revised geometry and build quality to Orro's TERRA racer, the TERRA C Ultegra Racing Bike provides massive performance on both the road and the trail. A speedy and versatile drop bar bike that comes into its own when the reins come off. This adaptable and efficient carbon-constructed road bike is kitted out with Shimano's trusty Ultegra drivetrain, providing phenomenal shifting and power-transfer to push its Fulcrum Racing 700DB wheels fast and far. Covered by Continental Grand Sport Race tyres, their smooth rolling is increased by the lightweight and durable full carbon forks which gobble up every bump and rumble. Sized and shaped with UK Adventure-specific geometry, this TERRA C model gives the most comfortable positioning for taking on the adventurous roads and rougher routes of Great Britain. Control over such varied terrain comes from the powerful Shimano Ultegra 8020 hydraulic brakes, scrubbing speed in an instant. Keeping damage to a minimum is the InnegraTM Impact Protection, spread across the frame and fork's carbon-build, while mudguard and rear rack mounts come as standard to carry your necessities. Built with poise, precision and practicality in mind, the Terra C Ultegra Racing Bike is a nippy and well-balanced racer for taking on the smooth and steady or rough and ready. 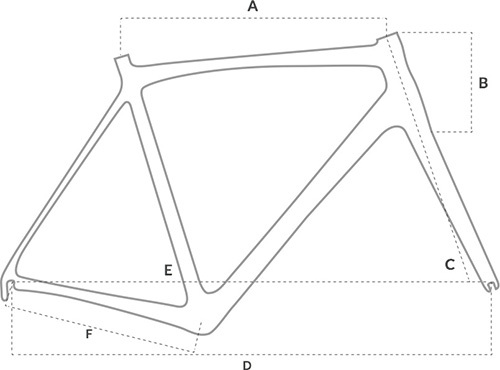 Lightweight Carbon Frame: The Terra C has road bike weight, with adventure bike aspirations. Carbon fibre is the perfect material for the modern adventure bike due to its low weight, manufacturing versatility and vibration damping properties. New UK Adventure Geometry: We started with a blank page and designed the geo from the ground up to cater to the emerging styles of UK riding. The new geometry includes short size specific chainstays - 420mm in S,M, 425.5mm in L, 450mm in XL), 72mm bottom bracket drop and 50mm fork rake across all sizes. The resultant bike has superior traction, cornering, and stability. Uncompromised Road Handling: Unique geometry and low weight ensures a fast responsive ride for the ultimate machine that excels at both road and off-road riding. Run it with knobbly tyres for your big adventure rides, switch out to low volume slicks for your road rides. Or run a mid-sized semi-slick for the ultimate all-purpose setup. InnegraTM Impact Protection: InnegraTM is a very tough, very flexible fibre with great endurance. Its properties make it naturally good at vibration damping and give it great impact resistance. The Terra C has selective InnegraTM shielding in critical areas of the bike to ward off rock strikes and other impacts. Thru Axle Front and Rear: The use of industry standard 12mm front and rear thru axles achieves greater wheel security, greater hub stiffness, less frame/fork flex and less unwanted rotor/brake contact. BB86 Bottom Bracket: By using the Shimano press fit standard we achieved a wider bottom bracket shell, enabling us to add extra material around the BB junction for stiffness, and improve chainstay width for greater tyre and mud clearance. All builds will be equipped with proven Shimano bottom brackets. Di2 and ETAP Compatible: The Terra C has the versatility for current and future groupsets. Each bike is fully built, tested and tuned by Wiggle's team of qualified bike mechanics to ensure you're bike arrives in perfect condition. To find out which size fits you click on the size guide tab above. We're so confident that you'll love your new bike from Wiggle, that we'll let you test ride it for a month! If you're not happy with it, just email us to bike@wiggle.co.uk and we'll pick it up from you for a full refund. Just make sure you keep the box so it can be re-used to send it back. Read more about our 30-day test ride.